The question is, which of these 5 numeric systems is the the most practical in its application to the (a) basic process of counting numbers, (b) to accounting and inventory or (c) geometry & (d) algebra? Let's briefly examine each of them in turn for their relative merits based on these criteria. 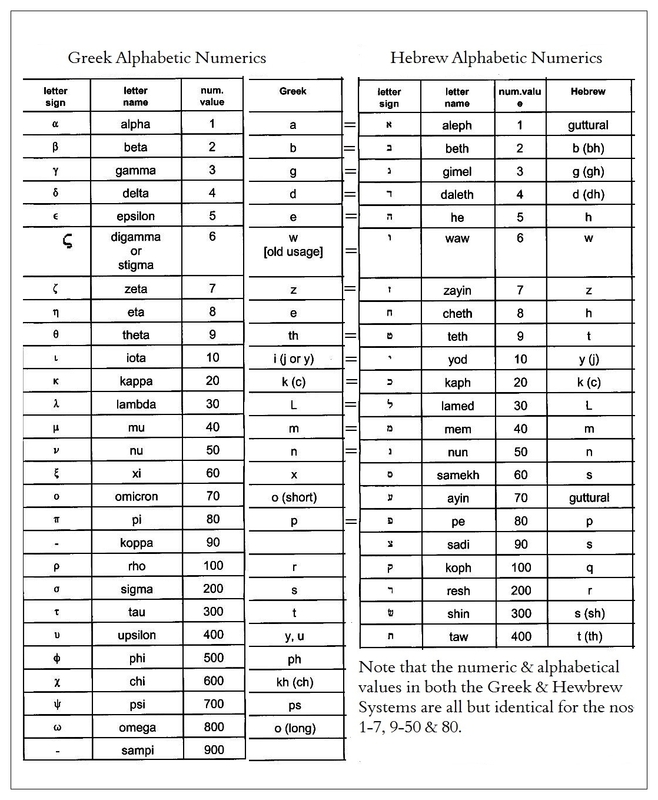 We can take the Classical Greek & Hebrew numeric systems together, since they are patently based on the same principle, the application of letters of the alphabet to counting. For the same reason, it is expedient to lump the Acrophonic Greek & Latin systems together. There are other ways of classifying each of these systems, but for our purposes, and for the sake of clarity and consistence, we have opted for this approach. Demerits: space-consuming, discursive; totally unsuitable for algebra. While their numeric system seems never to have been applied to geometry, the Minoans and Mycenaeans who relied on this system were, of course, not only familiar with but adept in geometry, as is attested by their elegant streamlined rectilinear & circular architecture. 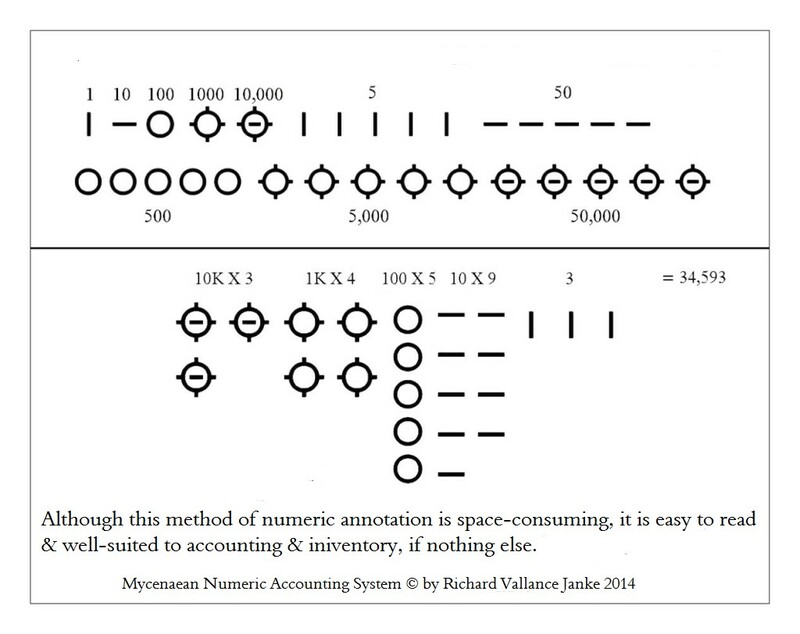 We must also keep firmly in mind the point that the Minoan scribes never intended to put the Mycenaean Linear B numeric accounting system to use for algebra, for the obvious reason that algebra as such had not yet been invented. But we mustn’t run away with ourselves on this account, either with the Mycenaean system or with any of the others which follow, because if we do, we seriously risk compromising ourselves in our own “modern” cultural biases & mind-sets. That is something I am unwilling to do. Merits: well-suited to both geometric and algebraic notation & possibly even to basic counting. Demerits: possibly unsuitable for counting, but that depends entirely on one's cultural perspective or bias. Who is to say that the modern Arabic system of counting (0...9) is in any way inherently superior to either the Classical Greek or Hebrew numeric systems? Upon what theoretical or practical basis can such a claim be made? After all, the Arabic numerals, universally adopted for counting purposes in the modern world, were simply adopted in the Middle Ages as an expedient, since they fitted seamlessly with the Latin alphabet. 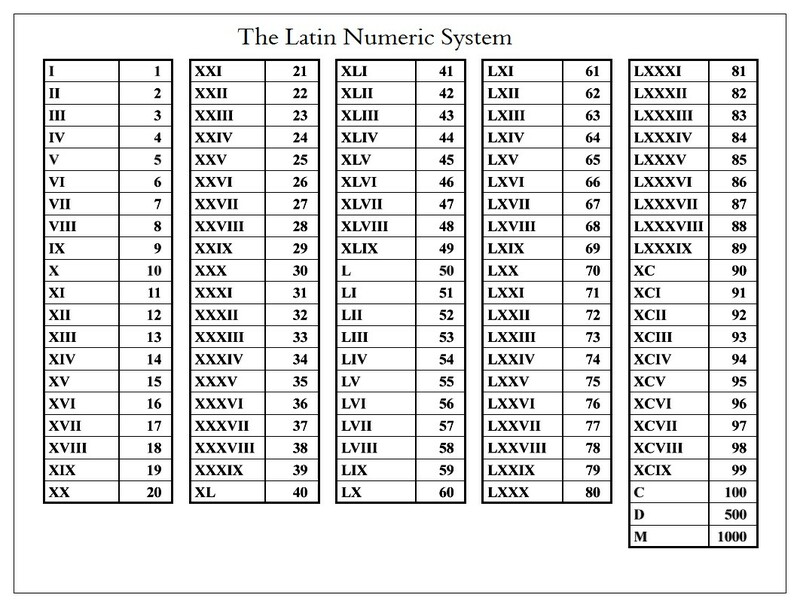 Nowadays, regardless of script (alphabet, syllabary or oriental) everyone uses Arabic numerals for one obvious reason. It is expedient. But is it any better than the Classical Greek & Hebrew numeric systems? I am quite sure that any ancient Greek or Hebrew, if confronted with our modern Arabic system of numerics, would probably claim that ours is no better than theirs. Six of one, half a dozen of the other. However, in one sense, the modern Arabic numeric notation is probably “superior”. It is far less discursive. 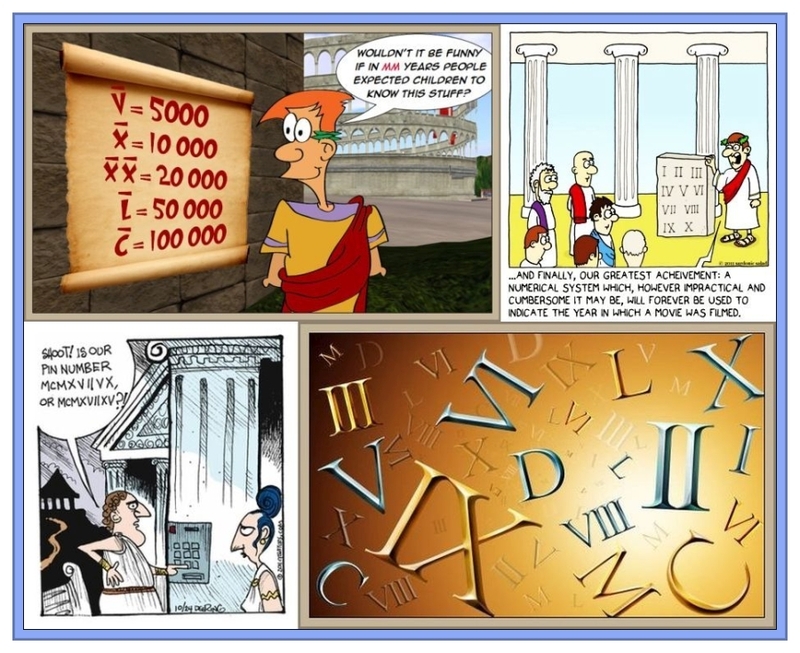 While the ancient Greeks  & Hebrews applied their alphabets in their entirety to counting, geometry and algebra, the Arabic numerals require only 10 digits. On the other hand, modern Arabic numerals cannot strictly be used for algebra or geometry unless they are combined with alphabetic notation. The Classical Greek alphabetic numeric system has been universally adopted for these purposes, as well as for the ease of application they bring to calculus and other complex modern systems such as Linear A, B & C, which have nothing whatsoever in common with the ancient Minoan Linear A, Mycenaean Linear B or Arcado-Cypriot Linear C syllabaries, except their names. Regardless, it is quite apparent at this point that the whole question of which numeric system is supposedly “superior” to the others is beginning to get mired down in academic quibbling over cultural assumptions and other such factors. So I shall let it rest. Before we can properly analyze the relative merits of these two systems, which in principle are based on the same approach, we are obliged to separate them from one another for the obvious reason that one (the Acrophonic Greek) is much less discursive than the other (the Latin). Looking back through the lens of history, it almost seems as if the Athenian Greeks took this approach just so far, and no further, for fear of it becoming much too cluttered for their taste. After all, the ancient Greeks, and especially the Athenians, were characterized by their all-but obsessive adherence to “the golden mean”. They did not like overdoing it. The Romans, however, did not seem much concerned at all with that guiding principle, taking their own numeric system to such lengths (and I mean this literally) that it became outrageously discursive and, in a nutshell, clumsy. Why the Romans, who were so eminently practical and such great engineers, would have adopted such a system, is quite beyond me. But then again, I am no Roman, and my own cultural bias has once again raised its ugly head. Merits: easy for a Roman to read, but probably for no one else. Demerits: extremely discursive and awkward. Useless for geometric or algebraic notation.